Hartmann's Zebra is a subspecies of Mountain Zebra. Hartmann’s zebra has the lighter stripes that are more duff in color than pure white, and so the zebra sometimes looks ‘golden’. Hartmann’s Zebra was once abundant all over south-western Africa, but during the civil war in Angola its populations in that country were nearly annihilated, and today good numbers of Hartmann’s Zebra exist only in Namibia and on some hunting operations in South Africa. The trophy fees for a Hartmann’s Zebra in Namibia start at about $900, although one can find a cull hunt opportunity for as low as $650. In South Africa the shooting fees are in the $1,500-$2,000 range, sometimes more. Add to this the daily rates, and perhaps the price of a few other trophies (few hunters go to Africa to hunt just one species). When to hunt Hartmanns Zebra? Spot-and-stalk is the preferred method of hunting for Hartmann’s Zebra. These animals live in small groups, which can be reproducing (with one stallion and a number of mares and offspring) or bachelor. The animals are always on the alert, and if one senses something wrong, it immediately gives the alarm call and all group takes flight as one animal. The rugged terrain that the Hartmann’s Zebra prefer sometimes make the hunt resemble a true mountain hunt, with the hunters moving from ridge to ridge, occupying dominant heights and glassing down for animals, then approaching them. It’s often hard to cover this sort of ground in vehicles, so the hunter should be prepared to do a fair bit of walking. Bowhunters may choose to wait for the animal in a ground or elevated blind over a waterhole. A study in the early 2000s indicated that the densities of Hartmann’s Zebra in Namibia were higher, and the numbers increased faster, in areas where there were opportunities for trophy hunters and other sustainable use. The study also suggested that one of the reasons was that in mostly rural areas the Zebras were viewed as competitors to domestic cattle, while in areas where the farmers benefited from outdoor recreation (including wildlife viewing, photo safaris and trophy hunting) the locals saw value in them. Even with broken terrain, Hartmann’s Zebra is not easy to approach, and stalking it in its typically rugged habitat is an exciting pursuit. Be sure to add a Hartmann’s Zebra to your plains game hunt. Hunt Burchell Zebra and Hartmanns Mountain Zebra in the Soutpansberg Mountains of South Africa. This renowned outfitter has sole hunting rights for Hartmanns Mountain Zebra in the Limpopo Province - No one else can offer you this once in a life time opportunity. The package includes 8 nights / 7 hunting days for 1 hunter as well as 1 Burchell's and 1 Hartmann's (Mountain) Zebras. 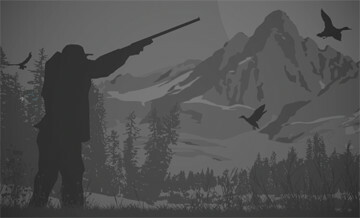 Looking to pick out the trophies you are after before your hunt. This is your opportunity. We welcome you to choose what interests you. We can accommodate both the rifle hunter as well as the bow hunter. Before commencement of the safari, clients are required to complete and sign a safari contract and a general information sheet. All clients and observers are required to read and sign our indemnity form before the commencement of any safari.